Prick up your ears! A lot of different sounds can be heard. Squeaking, clacking, rattling, tinkering ... each cube awaits with a different acoustic effect. 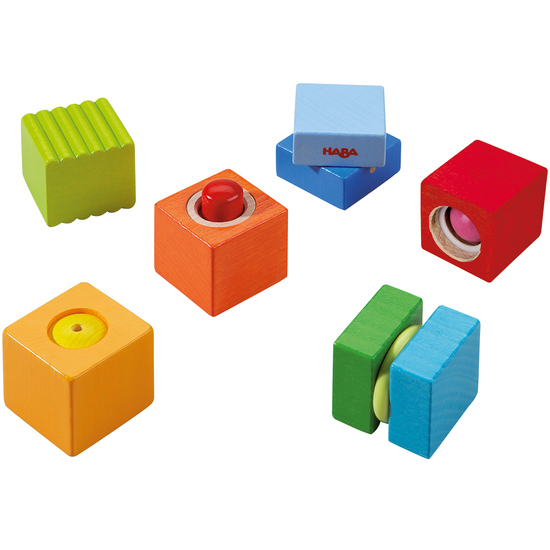 Little sound explorers will really enjoy themselves playing with the discovery blocks and have fun for a long time producing sounds themselves. In this way early perception and musicality are fostered. Contents: 6 discovery blocks with different acoustic effects, made of beech wood.